Paramount and Jerry Bruckheimer have been batting around the idea of Top Gun 2 for years—it’s been served by original screenwriter Christopher McCurrie, set up by the late Tony Scott, and gently bopped by The Town’s Peter Craig and X-Men: First Class’ Ashley Miller and Zack Stentz. Now another writer is going to get a chance to set up the point (or whatever it is they do in volleyball): Justin Marks, writer of Disney’s upcoming live-action The Jungle Book and Street Fighter: The Legend Of Chun-Li, as The Hollywood Reporter reports that Marks is in negotiations to work on the film. 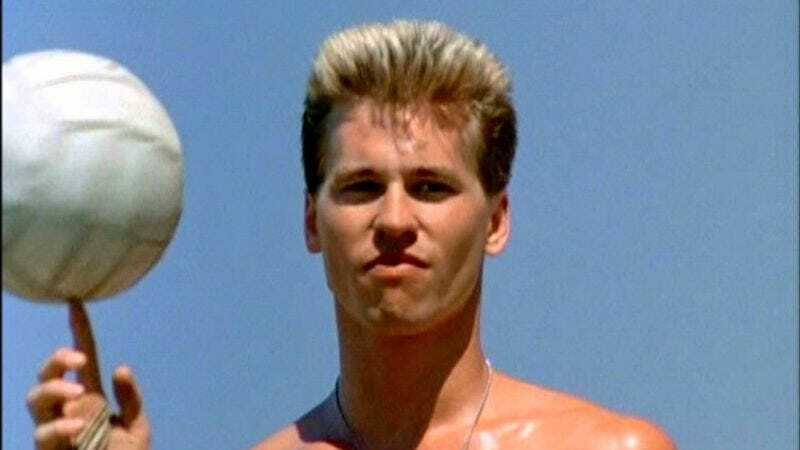 As was discussed many eons ago, when volleyball was still a new sport, Top Gun 2 will be about how fighter pilots fit into new forms of airborne warfare—specifically, drone warfare. Tom Cruise is slated to reprise his role as Maverick. Val Kilmer has also expressed interest in returning for the sequel. At the time of publication, it was still unknown if Marks has a deep, abiding relationship to the sport of volleyball.